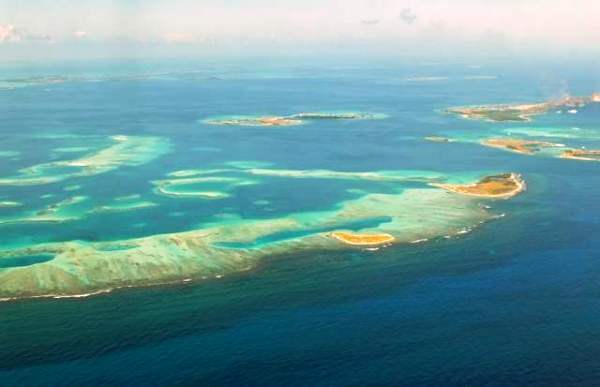 Designated as a National Park in 1972, Los Roques Archipelago is one of the most beautiful areas of Venezuela. 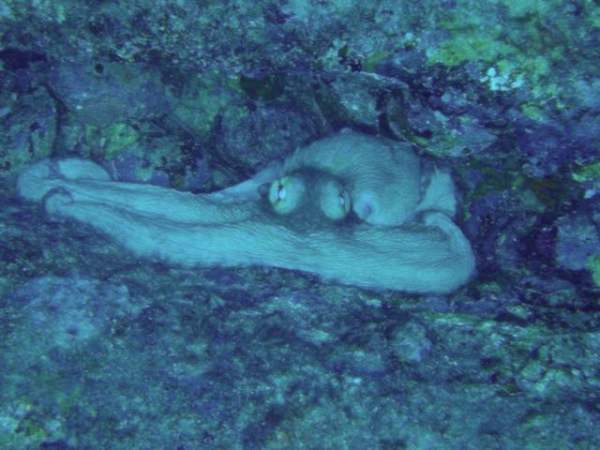 Lying approximately 80 miles north of Caracas, the Park is of exceptional ecological value and is dominated by seagrass beds, mangroves and coral reefs. 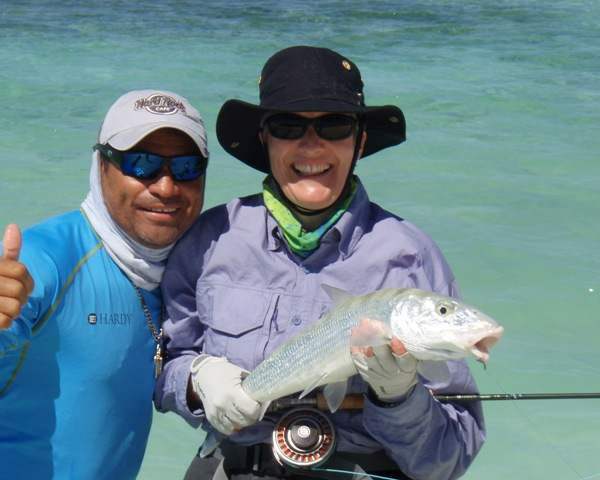 Not only famed for the quality of its fishing industry, Los Roques is also regarded as one of the top destinations for recreational fishing for Bonefish, Tarpon, Permit and many other sought-after species. 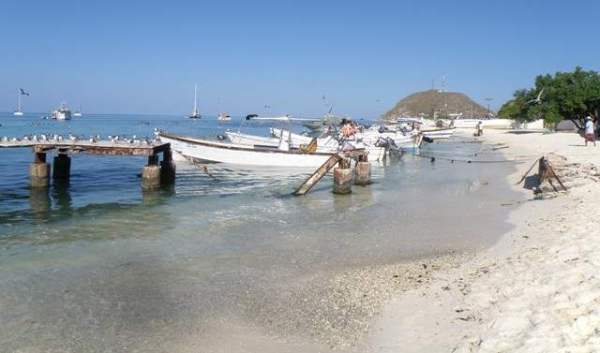 Unlike the Seychelles, which is a much more expensive destination for such fishing because it is generally regarded as being much easier, Los Roques requires patience and tests the skills of the fisherman to a great extent. The fishing consists of stalking fish on the ‘flats’ – large areas of shallow water over soft sand or turtle grass. 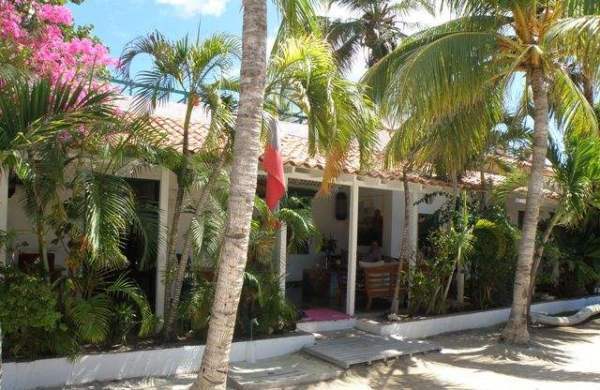 Patience and skill are nearly always rewarded, however, and Los Roques has more than its fair share of expert fishing guides to help fishermen to gain the best from their visits. We flew BA/Iberia to Caracas (about nine and a half hours) from Heathrow via Madrid and then stayed overnight in a hotel in Caracas before continuing our journey the following morning. Air France also runs flights from the UK, connecting through Paris. We followed the advice not to leave the hotel (Eurobuilding Hotel close to the airport in Caracas) due to the economic collapse of Venezuela and the resulting surge in violent crime. The hotel was of a good standard and served good quality international food. 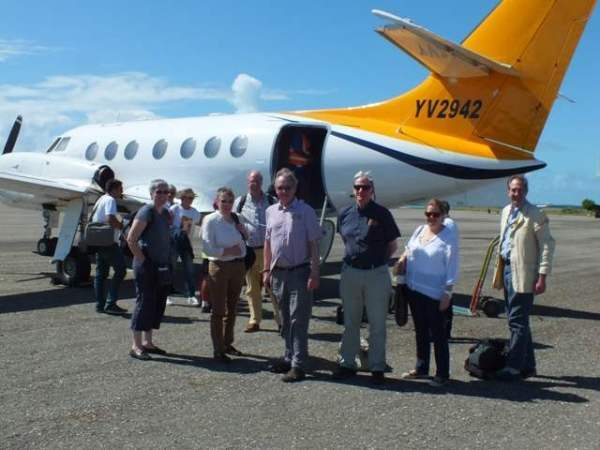 The domestic flight from Caracas to Los Roques took around 45 minutes, and we then walked from the small airport to our Posada (guest house), which took about 5 minutes. Our accommodation in the Acuarela Posada was comfortable, spotlessly clean, air conditioned and had Wifi throughout. The food was excellent, with especially good breakfasts. For obvious reasons the dinners were mainly based on fish, but it doesn’t get fresher than when it comes from the sea a two minute walk away. 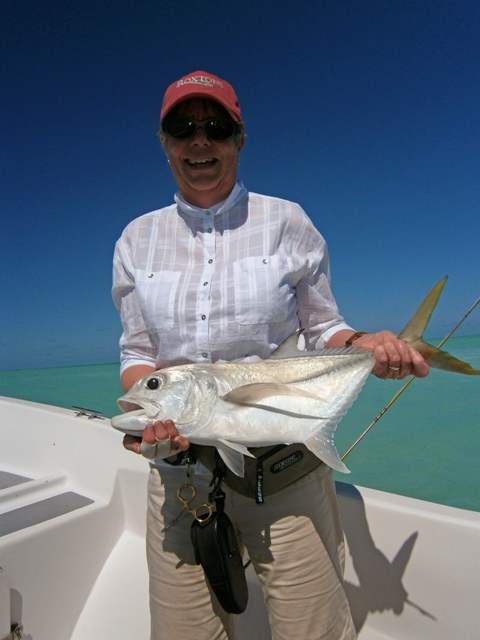 Our trip was arranged through Roxtons, and their partners in Los Roques, Sightcast, provided the guiding services. Each morning our guides (one per pair of fishers) arrived at 8 am and walked with us to the beach (two minutes away) where we met our boat drivers and boarded the boats that took us out to good fishing spots. Sometimes we fished from the boat, but mainly we waded the ‘flats’ – extensive areas of shallow water – in search of shoals of Bonefish. We all struggled to see the fish unless their shadows were reflected against bare sand or they were ‘tailing’ (feeding on the seabed in such shallow water that they were quite clearly visible), but the guides were truly expert in spotting them and telling us how far to cast and in which direction. Bonefish are very easily spooked because they are constantly on the lookout for predators – Barracuda were our main competitors in the catching of Bonefish, and they also patrol the flats in significant numbers. 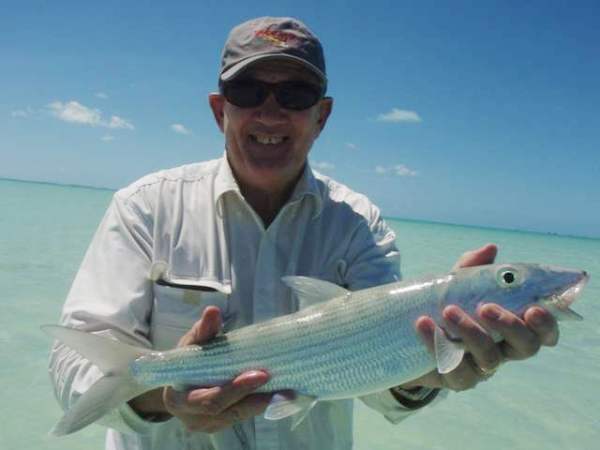 We used 9ft #7 rods with saltwater weight-forward floating lines and long tapered leaders to 12lb breaking strain, which was ideal for Bonefish and coped with a 14lb Jackfish. Heavier gear is necessary for Tarpon, of course. 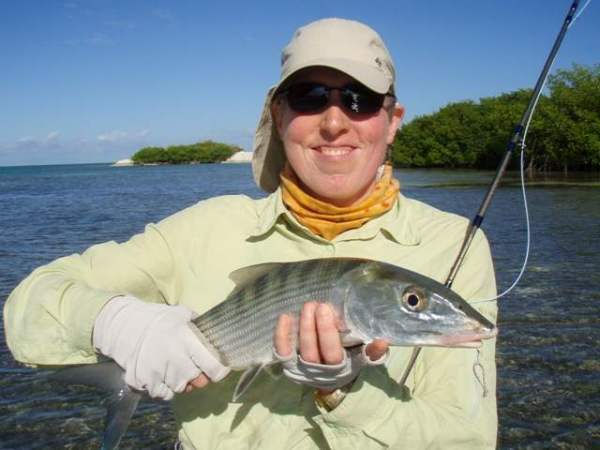 Despite differing casting abilities, all members of the party caught plenty of Bonefish during the week. 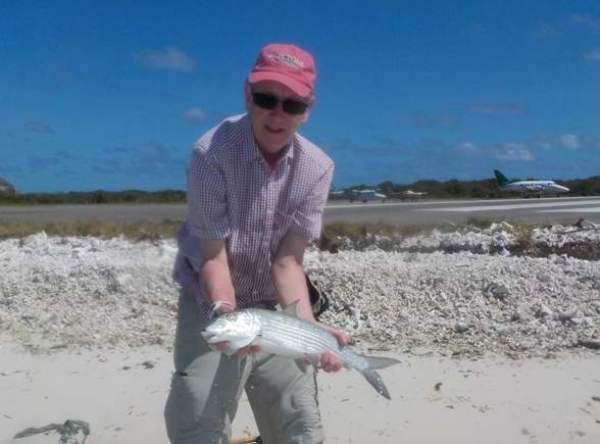 Being able to cast long distances is helpful but not essential – accuracy is far more important - and being able to land a fly in front of the fish as they were moving was the key to success. Landing the fly in the middle of the shoal inevitably led to the fish shooting off in all directions and the need to move on in search of other shoals to target. Other species caught during the week included Permit, various Jackfish and Snappers. Fish to be avoided were Needlefish (their teeth are so sharp they immediately shred the line) and Barracuda, for the same reason. Each evening we returned to the Posada between 4 and 5pm to a welcome shower, a drink over which we heard the tall tales of the day, and dinner which was served around 7.30pm. The outstanding natural beauty and wildlife, and in particular the birdlife of the area, adds much to the experience of flyfishing in Los Roques National Park. We arranged a special day at the end of our trip to go out with a guide (also arranged through Roxtons and Sightcast) to some of the remote areas of the park to see nesting birds, turtles and the other creatures and plants that make this area so special. Two other members of the party went diving with one of the local companies, The Aquatics Diving Center, and came back with stunning pictures of the underwater life, including many of our fishing target species! All the travel, accommodation and fishing for our trip was arranged by Roxtons.